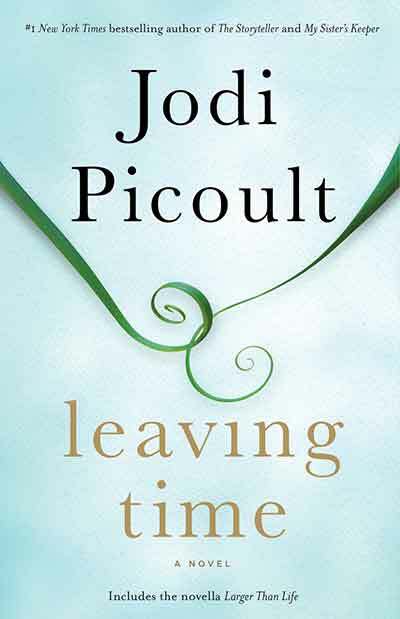 Leaving Time by Jodi Picoult is a pungent novel that centers around 13-year-old Jenna Metcalf and the relentless search for her missing mother, Dr. Alice Metcalf after a tragedy struck at the Elephant Sanctuary 10 years ago. Dr. Alice Metcalf is an esteemed scientist who studies the behavior of African elephants. Throughout the story, we learn that she has lived in Africa and that her last known location was an elephant sanctuary where she raised her daughter Jenna and lived with her husband, fellow scientist, and researcher, Dr. Thomas Metcalf. One night, tragedy struck as one of the caretakers in the sanctuary was trampled by an elephant and Alice was taken to the hospital with some serious injuries. She left the hospital in the middle of the night, never to be seen or heard from again. Alice’s husband, Thomas, had a psychotic break, which landed him in a psychiatric hospital. Jenna Metcalf lives with her maternal grandmother and visits her father regularly. In the first few chapters of the book, we learn that Jenna is saving up enough money to hire a private investigator to investigate the disappearance of Alice Metcalf. A case, which has been cold for 10 years. Jenna decides to find the lead detective – Virgil Stanhope – and ask him some questions, hoping he can shed light on her mother’s disappearance. Jenna finds Virgil but he’s not in great shape as he favors the bottle to help quiet his demons. 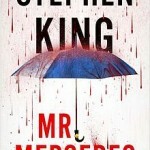 Virgil, feeling haunted by Dr. Alice Metcalf’s disappearance, decides to help Jenna. Maybe solving this case once and for all will grant him the redemption he has been desperately seeking. Jenna also comes across renowned psychic Serenity Jones, who rose to fame by using her gifts to find missing persons. However, an incident in Serenity’s not-so-distant past leaves her feeling broken and not up to the task of finding Jenna’s mother. However, this band of misfits knows that they need one another if for nothing else than to fill the voids that are within. So, they set out on the journey to find Jenna’s mother. Jodi Picoult has been one of my favorite authors since 2008 when I found one of her books in my local library and checked it out so that I could take it with me to read during the downtimes in the hospital after I had my 3rd child. One of the things I most love about her books is the honesty with which she writes. Each character truly has a different personality, a different set of values and she does a great job of setting the scene. Interestingly enough, even though Jenna is arguably the main character here, I feel like we’re really reading Alice’s story. We switch back and forth from present time / Jenna’s point of view to the past / Alice’s point of view as seen through her journals. Also, elephants! I have always found elephants to be so fascinating and majestic but haven’t done much research on them past what most people probably know. I loved every fact about elephants that was included in this book! There is so much beauty in how an elephant lives its life – from the way they raise their young, interact with their herd and grieve their losses. Aside from the elephants, the character that I was especially enamored with was the character of Serenity. Once a legitimate psychic, living the good life and using her gifts to aid in high-profile missing person cases, she loses it all one day. 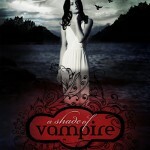 Yet, throughout Jenna’s search for her mother, we see that Serenity starts to get some of it back. Serenity is a good person who has simply lost her way. 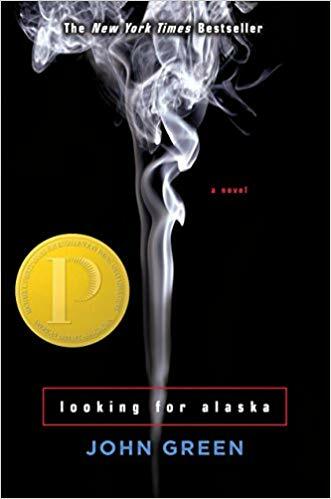 It seemed like this book centered around finding what was lost. Virgil needed to get back to having faith in himself, Serenity needed to find her way back to her gifts and Jenna needed to find her mom. In conclusion, just when it feels like we’re heading down a never-ending rabbit hole without a true resolution, in true Jodi Picoult fashion, we get our resolution in the most shocking yet satisfying way possible. This book is not one I could easily put down. I thought about this story long after finishing it. Well done, Jodi. Well done.